Just say the word – Viral – and brand owners go bananas. It’s what you want. Communication spread all over the world without a penny in media spend. It sounds so easy but in fact, not that many videos circles the globe every year. Let me share one of my ways of increase the probability of succeeding. I’ve created The Viral Triangle in order to get a better understanding from clients that viral marketing is all about buzz and creating hooks that pull people into the loop. The components of The Viral Triangle is something that comes naturally for many creatives but still loads of so called virals doesn’t even make it beyond the first viewer, only because the lacks a broad variety of hooks. The Viral Triangle that will dramatically increase your strike rate when it comes to creating viral content. The model is applicable on both creative ideas, movies, content and product development. 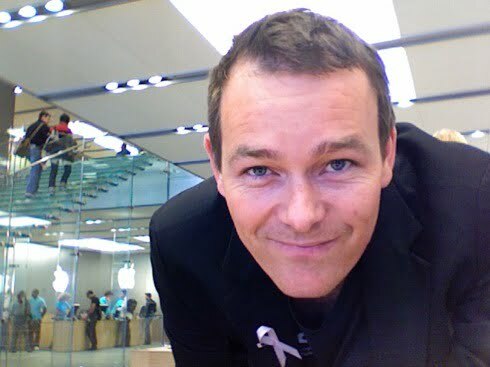 It’s all about injecting more ways for the consumer to find and spread your ideas. If you use it right it serves as a simple checkbox model that you can use in order to ensure a wider spread of your ideas. 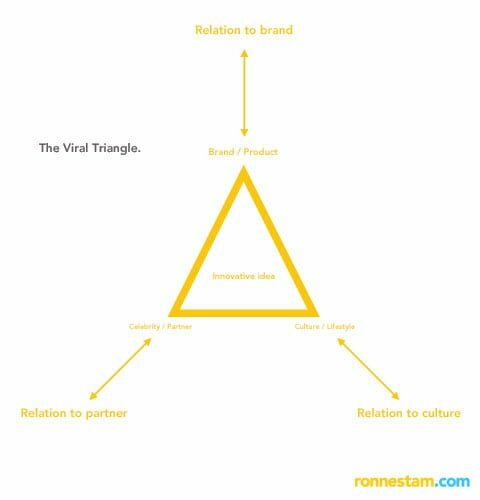 Of course you still have to seed them but using the viral triangle multiplies the relevance for your potential target group. The Viral Triangle consist of (you guessed it) 3 possible entry points (hooks) for your target group and one core component – the idea. Every piece of communication that comes out of a company should have the Brand or Product as an important, if not leading, part of the execution. Associate your solution with some sort of an Ambassador that is widely known among your targets. This way you’ll ensure new possible entries to your communication. Finally, the strongest way to establish an idea in a community is to play it, to some part, by their rules. Core component – The idea. This is where you have to innovate. Provide your target group with something they have never seen before. Entertainment should be a core component of your communication but you need to do it in a new way. Without that innovative idea it doesn’t really matter what context you put it in – it’s never going to work. People don’t spread boring news. Let’s have a look at one of the most spread virals this year – The Bike Hero by Droga 5. There’s really no missing that this is about Guitar Hero is it? First hook! Music. The video kicks off with a sign saying Prisoner of Society – The living end 1999. Here’s another hook (A quick search for Prisoner of Society places the video nr 2). Tons of people might not like Guitar Hero, but the can associate to the music. It makes them stay a little bit longer. Very early into the video we see that it’s about BMX a popular urban sport among the target group. Hook nr 3. The solution – the innovative idea. See for yourselves. It’s a great execution and it’s viral. 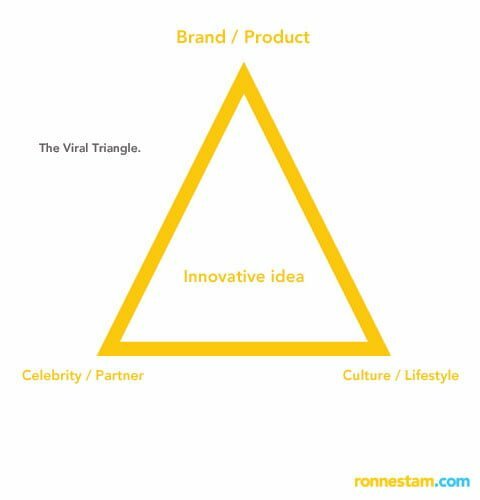 Start your creative work by forcing the viral triangle on it. By doing that you have a bigger chance than ever to strike luck. If you do it in another way you might still succeed but the viral potential is limited since you’re relevant to a much smaller audience. Previous articleFollow your inner voice! Next articleThe Kinnarps stand 2017 – Editor’s Award for Best Stand. Har du tydligt sagt det här till oss på GI? Det kändes som om det blev mycket klarare i mitt huvud nu nämligen. Definitivt en slide du kan ta med och snacka om nästa gång du kommer. Det är, som du säger, sjukt lätt att säga “å sen kommer filmen läggas upp på YouTube och spridas…” Det är så skönt att tänka så också. Känns begripligt. men ack. 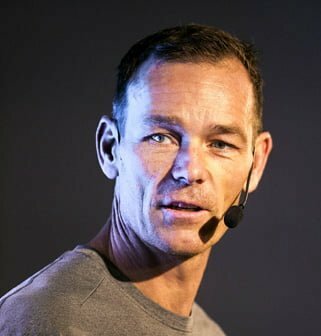 “Context is king – implementation is king kong” som Tom Beckman från Prime PR sa till os en gång. Förstår. 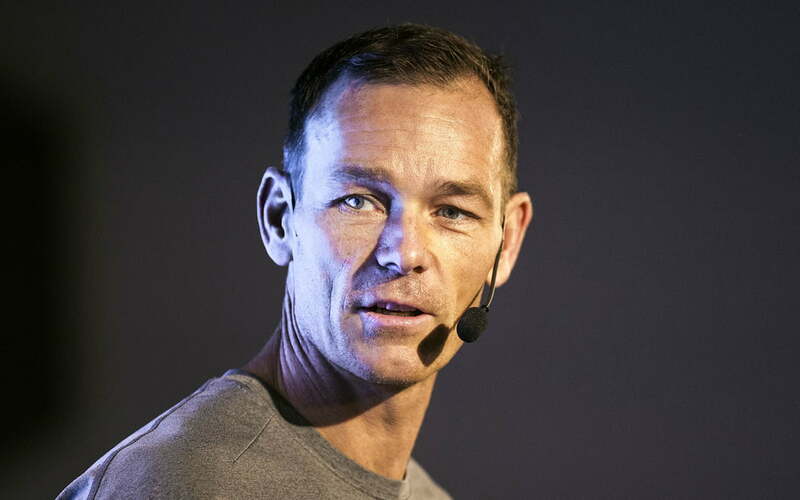 Men tillsammans med allt annat man tar in så faller den på plats. I alla fall i min hjärna 🙂 Fint att du klurar och knäcker. I, like some others, have during the last couple of years grown increasingly tired of the word viral as it has become more or less a promise rather than a phenomenon in every sales pitch leaning towards social media marketing. What’s the value of a hit? And what does it promise the customer? Even though the campaign might be in key with their target group, aligned to your viral model and all that, bureaus today are so eager to call their success that the amazing bike ride or the incredible stunt for Eckö (graffiti on Air Force 1) are called for what they are, campaigns. A hoax. The brand is basically telling the consumer that they need to fake it to make it. I’m not saying that it’s all bad, my point is just that even if you hold the truth behind then viral phenomena (does anyone really?) These questions must be raised in this growing race for attention. Hey Carl, thanks for the blog-cred! What’s the value of a hit? Well, that’s a tough one. But in a world where the effect of paid media looses its effect more and more every year we’ll have to create viral effects in everything we do. The Bike Hero was one example and it’s as you say ha Hoax. But viral effects or hooks if you like can and are implemented on a lot more than that example. My point is not to say this is the truth behind the viral phenomena but instead a gatekeeper for brands in terms of at least validating that an idea stands a chance. How many things do actually go viral – not enought if you count the amount of ideas that comes out of agencies worlds wide. I think we should think viral when designing a product, when drawing a house, when creating a TV show, when writing copy, when building a boat etc etc. It’s about injecting those things that makes your ‘thing’ stand out in the crowd. And that, in most cases, doesn’t have to be a hoax. The viral triangle is for me one way of raising the bar. I agree – while to me there is a difference between good and viral. Viral is not neccessarily good and the other way around. While the triangle raises the bar, or rather sets the aim for the strategic process I believe that we must think one step further. What ball are through the hoop? Traditional media builds on the premiss that all attention is good attention. In Social Marketing however everyone holds a mic. We all become a part of the conversation, we build relations and demand respect out of relations. It’s sort of like “The Boy Who Cried Wolf” – his message got through the triangle, into the hoop until no-one would listen anymore. We agree a lot right now. But I do. My point with this one is that there needs to be a minimum ‘thought’ bar. Then as always it’s about professionals delivering on brief and on strategy. ‘The boy who cried’ is a good point and I would say that’s also the reason why you have to be relevant in multiple ways. It’s just not enough to create your own ideas anymore. Or at least in lot’s of cased. To clarify. I am not a big fan och campaigns where you do something crazy and brand it. Relevance and brand/product has to be centric. I like this phenomenon of viral triangle. I never heard this type of method of viral marketing before.